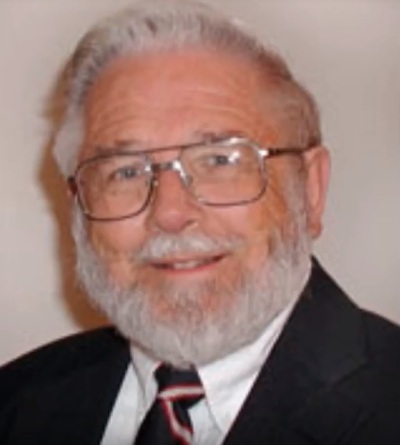 James W. Sire, an author and longtime senior editor of the evangelical publisher InterVarsity Press, passed away on Tuesday evening at age 84. Andy Le Peau, former associate publisher with InterVarsity, said in a statement that Sire was "a keystone in the intellectual renewal of evangelicalism in the 1960s and 70s, championing the work of Francis Schaeffer and contributing his own landmark books on world views." "He was also first to publish other influential figures such as Os Guinness and philosopher C. Stephen Evans. But his finely tuned radar for quality was not limited to the academy," said Le Peau. "He had a major influence on the church when he saw the potential in the poetry of Calvin Miller's The Singer, the power for church renewal in the work of Howard Snyder, as well as the evangelistic insight of Rebecca Manley Pippert." Sire authored more than 20 books, mostly on Christian apologetics, and worked as editor for InterVarsity Press for more than 30 years. Le Peau noted that Sire "taught me more about editing and publishing than probably anyone" and that he will "miss his wit, his insight, his integrity, and his love for Jesus." Born in 1933 and raised on ranch in Nebraska, Sire served in the U.S. Army as an officer and later became a Christian apologist and lecturer. Sire received a bachelor's degree in chemistry and English from the University of Nebraska in 1955, a master's in English language and literature from Washington State College in 1958, and a doctorate in philosophy from the University of Missouri-Columbia in 1964. In June 1968, Sire became chief editor of the Westmont, Illinois-based InterVarsity Press, a position he held until December 1998. During his time as editor, he also authored several books, including the 1976 apologetics work The Universe Next Door, which as of 2018 has sold an estimated 350,000 copies. Its fifth edition was released in 2009. "The Universe Next Door offers a unique resource for understanding the variety of worldviews that compete with Christianity for the allegiance of minds and hearts," a description onAmazon states. "The Universe Next Door has been translated into over a dozen languages and has been used as a text at over one hundred colleges and universities in courses ranging from apologetics and world religions to history and English literature." Sire is survived by his wife, Marjorie, and their four children, Carol, Gene, Richard, and Ann.